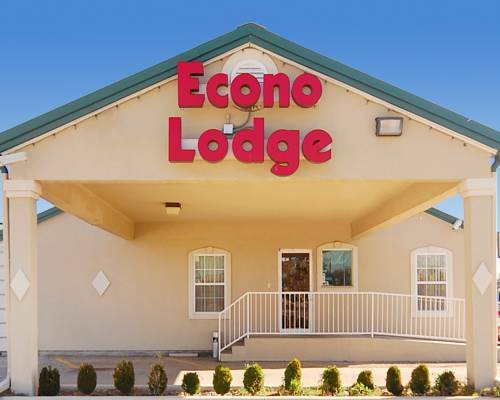 Rest easy at the Econo Lodge hotel in Bartlesville, OK. Our pet-friendly hotel is easy on your wallet. We're near the Washington Park Mall, Osage Hills State Park, Woolaroc Museum and Wildlife Preserve, Rogers State University and Oklahoma Wesleyan University. Enjoy amenities that include free Easy Starts continental breakfast, free WiFi, a seasonal outdoor pool, bus, truck and RV parking, guest laundry and a meeting room and fax services. Each relaxing guest room features a refrigerator, microwave, Flat-Screen TV, hair dryer, iron and ironing board. Select rooms offer a a hot tub and coffee maker. We support green hotel practices. Also, earn rewards including free nights and gift cards with our Choice Privileges Rewards program. Pet Accommodation: 10.00 per night, per pet. Limit 2 per room, under 25 pounds. Must be caged or kenneled if left in room unattended.